This holiday provides a time for many of us to reflect on what makes us grateful. I join that chorus. I am so thankful for my family – my son, my daughter-in-law, my grandson – but also the family I have chosen – my friends. My son is brilliant, gifted, creative yet pragmatic. He has grown into a considerate son, a devoted husband, and an exemplary father. He chose a sweet, kind, and beautiful woman as his wife and I am honored to have her as my daughter-in-law. Six years ago, she gave birth to, and raises with skill, my grandson, who has brought happiness and wonder back into my life. I could not ask for better family. My two closest friends have been my friends since high school, and for an only child, those relationships are absolute treasures. When I was in the Girl Scouts, we learned a song, “make new friends, but keep the old. One is silver and the other, gold.” These two are my “gold” friends. They have nursed me through so many difficult times in my life, but have also been there to celebrate the moments of triumph. I am blessed to have people who have been in my life for dozens of years. They are too numerous to name here, but many are my friends on Facebook. We don’t see each other often, but I know they are only a call away when I need them. They make up an amazing support system for me and I thank you all for being a part of my life. When I worked at the Texas Commission for the Blind 15 years ago, I worked with the most talented, brilliant group of people, and I have been able to stay in touch with many of those folks. I didn’t think I would ever have the opportunity to be a part of another team capable of that level of accomplishment. As a result, I am extremely thankful that I have found another professional team that has accepted me as a member. The San Antonio Small Business Development Center staff and so many of the people at the Institute of Economic Development (some of whom I’ve known for years and some I met 14 months ago when I started my job as a Business Advisor) are devoted to helping small businesses succeed. I am grateful for my job. I get to do what I love to do every day, and I am grateful to the small business owners who trust me enough to let me share in their dreams. I am so thankful to be living in the most vibrant city in the country. My parents moved here in 1957. I was five and I thought I would be riding horses every day. (I have yet to ride one, but it’s on my list.) I have watched this city grow and blossom, and I’m extremely proud to be a part of it. I’m especially delighted to live in one of its amazing historical neighborhoods, an area that is filled with people from diverse backgrounds, not to mention the eclectic assortment of restaurants. I love being able to walk on the Riverwalk. I also love being walking distance from my job. I am thankful to my landlady and my neighbors for being a part of this new phase of my life. I adore my apartment and my simplified life. I love my windows that look out on the Tower of the Americas and Southtown. I am grateful for the chance to reinvent myself. There are so many people in this world, even in this country, who never get that opportunity. I have seldom felt stuck. My parents gave me the foundation and provided the education that has allowed me to change careers, to obtain more education, to open myself up to new experiences. I have realized that if there are areas of my life that I am dissatisfied with, I have the ability to change and improve. That is part of the reason that I have lost 35 pounds over the last year and become much healthier (blood pressure is normal, cholesterol and sugar levels are much improved). I’m still a work in progress, but I know I’m on the right path. I’ve lost family and friends (two this year) and am reminded of how precious every day is. I hope to have several decades ahead of me, and hope that I continue to celebrate the silver and the gold friends in my life. Thank you all for being part of my journey, and for letting me be a part of yours. Today is Mother’s Day, a perfect day to reflect on the lessons my mother taught me. Let me tell you about Maggie Ward. 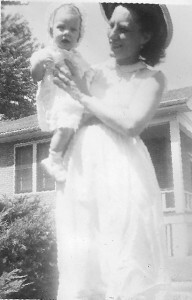 My mother, Marguerite Evans Weis, was born in 1913 in West Virginia. Her mother died in the Swine Flu epidemic of 1918. Her father, who spent some time in trouble with the law and with numerous girlfriends and wives, took Mama to live with his mother in Missouri. My great-grandmother was strict and verbally abusive. My mother was a brilliant woman. She graduated from high school at 16, and went on to college where she tried to major in mathematics. She was denied that major and forced into a Bachelor’s in Education due to her gender. She worked as a bookkeeper at a company, where her supervisor admonished her that she needed to wear a girdle. She worked for her father in his insurance business in Baton Rouge, and ended up having to answer to auditors when her father disappeared suddenly. She was married for a few years to a man who died while serving in the U.S. Army in Germany. With her widow’s preference, she secured a Civil Service job to teach electronics to Air Force personnel. During her training, she fell in love with her instructor, Kenneth Ward, who had college training in electrical engineering, and had recently finished a tour with the Navy. They were engaged in December 1946 and married in February 1947. She had abandonment issues, but never let them define her. She had never been given much affection, but she vowed to overcome that lack, and diligently worked to show her love to my father and me. She was a voracious reader and self-help aficionado. In addition to a dog-eared, well-worn Bible with her notes in the margins, the books on our shelves included authors like Norman Vincent Peale and Eric Berne. There were books on yoga, meditation, and on the life of Jesus. She was so far ahead of her time. She took Silva Mind Control classes and taught me the techniques. She and I practiced the lotus position and walked up and down the hallway on our buttocks for exercise. 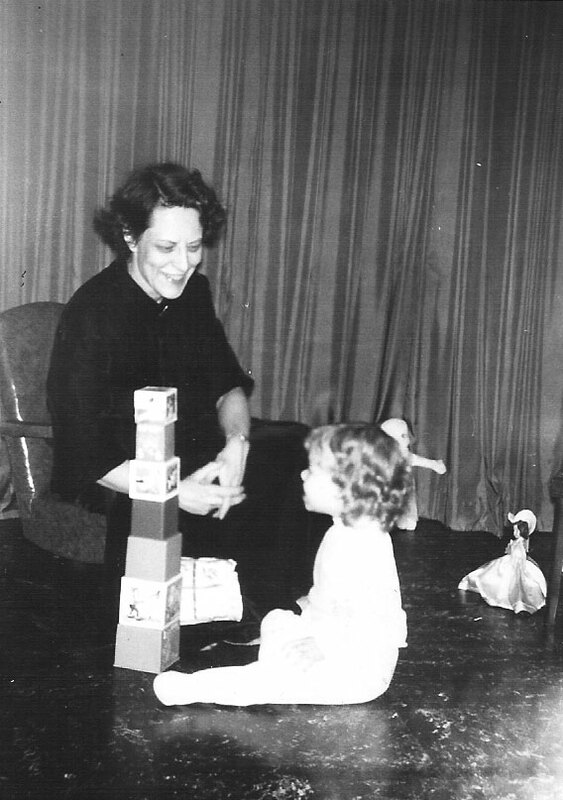 In 1968, she became involved in the programmed instruction movement. She had taught junior-high school math for years. She was teaching at Ursuline Academy and put the self-paced concepts to the test in her classes. Her students experienced huge successes. She volunteered at a high school completion program, a night school being held on the St. Peter Claver High School campus. She was asked to teach at the day school when St. Peter Claver transitioned to Healy-Murphy Center, the first alternative school in the State of Texas (before any of us knew what an alternative school was.) Her classes were all self-paced, which worked well for the school population made up primarily of pregnant teenagers and high school dropouts. Her legacy is that all the courses at Healy-Murphy High School are now self-paced. She adored her grandson and thought he was the most adorable child on the planet. She had less than three years left when he was born. If I had any idea we would lose her so soon, I would have spent more time with her and find a way for her to spend more time with him. She believed my son was exceptional. She was right. She died in 1982 at the age of 69. I think she wanted an early exit. She had outlived her mother and father, a husband, and three children. I often felt she did not want to outlast my father. They were still in love when she died. She was, at her core, a teacher, and I wonder how different her life (and mine) would have been if she had not been blocked by the sexism that existed in the 1930s. I know that my ability to coach, teach, and facilitate comes from her consistent example. That was an extraordinary gift. But the most fundamental treasure she provided me was the ability to love and show that love. Had she not worked so hard to be a warm and affectionate mother, I would not be able to enjoy today as a mother and grandmother. Happy Mother’s Day, Mama. Thank you.